Our PC completely died last month, but it was behaving strangely and overheating dangerously for at least a year before that. Before we smashed the hard drive with a hammer and sent it to an e-waste facility, Iris removed some parts for future projects. 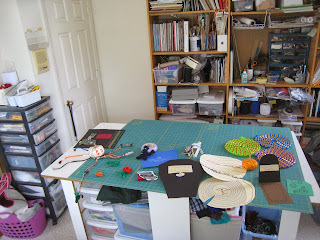 She took over my sewing room on Friday night and spent much of Saturday busily working in there. I walked in on Saturday night to see this art installation. Of course, there is the "blue screen of death." 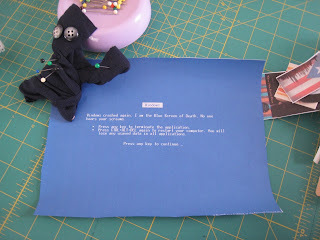 I am not happy that she emptied the blue color cartridge to print that out. However, I do understand her point that there was no other way to achieve white print on a blue background. Grrr. .Must. .bite. .tongue. in the name of art. I "harvest" Bad Dad's old, worn shirts for fabric and buttons. She found the eyes for her voodoo doll from that button box. She found the cotton fabric, left over from an unblogged recent sewing experiment, in the scrap bin. 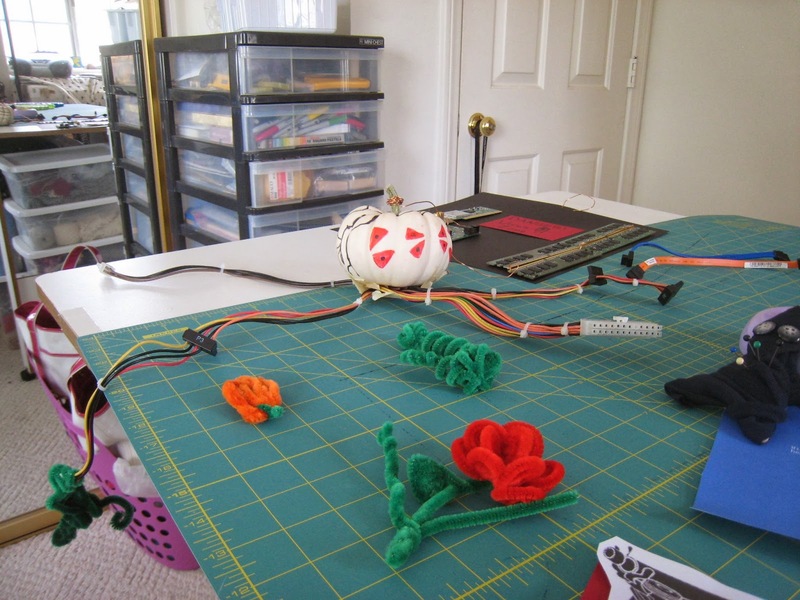 Originally, she used my expensive steel sewing pins (for use with magnetic pin cushions) so I took them back and substituted cheaper pins that I don't care if I lose. 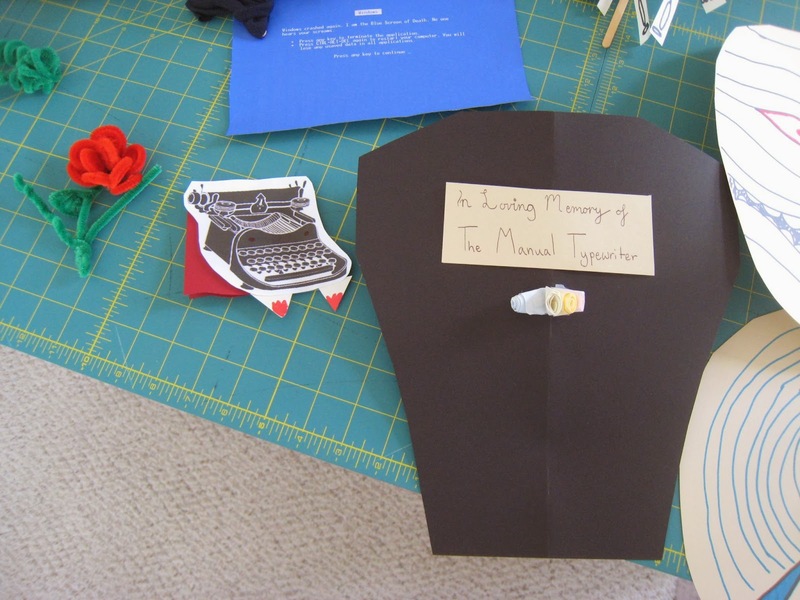 Manual typewriters enjoy an allure amongst the young who have never used one in real life. She infused it with equally exotic (to her) Dia de los Muertos imagery. 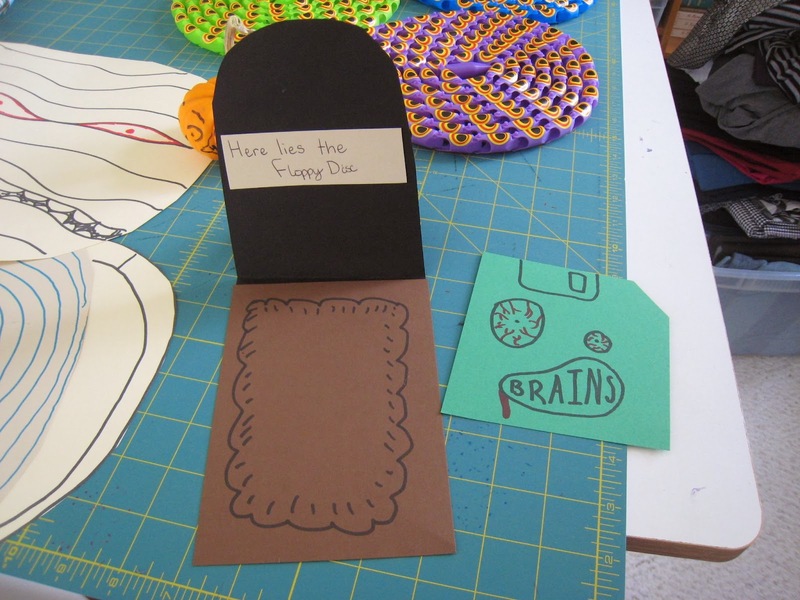 We have old floppies in the house, but she made this paper replica instead. Enjoy the Flickr set of the rest. I'll add to it after we carve the big pumpkin and install the artwork outside. 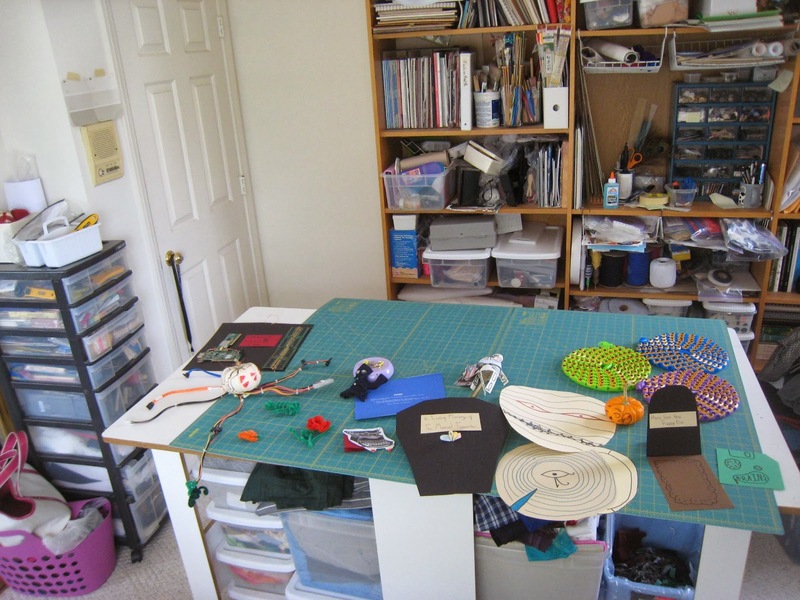 * I decided NOT to crop the mess in the studio so you can see what my workspace really looks like. It seemed like just yesterday when she asked if she could take after-school Tae Kwon Do lessons in the schoolyard of her Montessori kindergarten. Click on the link to coo at the cuteness! She says she's too old to be called cute any longer. 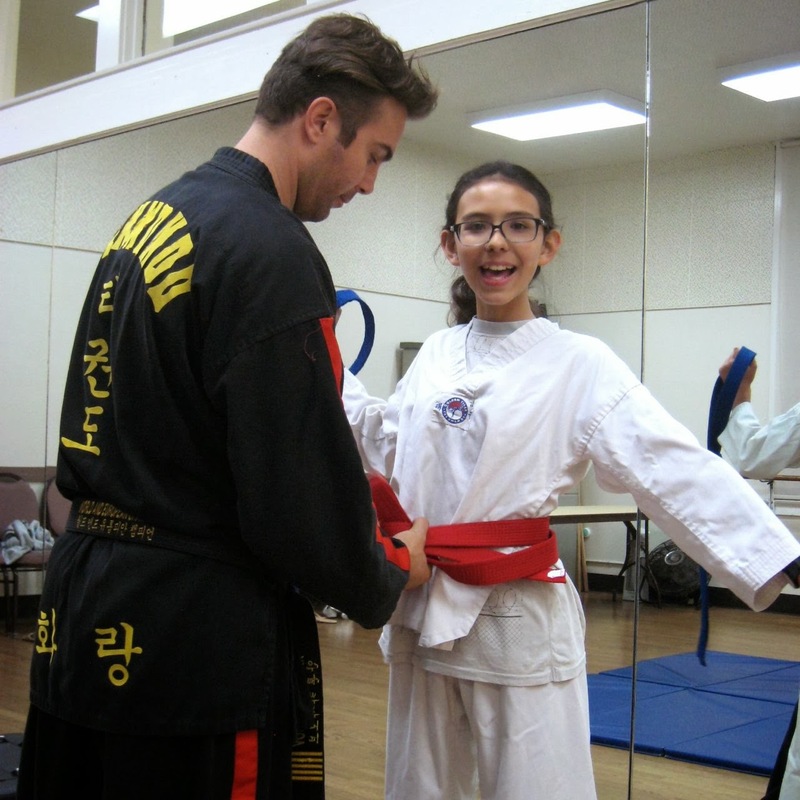 But, she's still taking Tae Kwon Do lessons with the same instructor, Anton Kasabov. He doesn't believe in progressing kids through the "junior" belts like some TKD schools so that kids can brag about attaining black belts after 2-3 years. His students earn the same belts as adults when they master the same standards as adults. I tried to take a video of this kick so you could hear the kick. But, the camera and lighting were not good enough to catch this high-speed kick. Just imagine a very loud and solid THWAP! 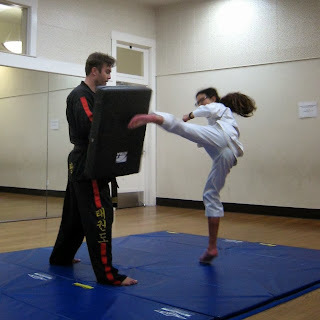 A year ago, I watched as he taught her a new move where they run towards a punching bag, kick it forwards, then spin around and kick it from behind with the other leg. I thought that was an impossible thing to ask of her. She couldn't do it without falling over. Yet, the red belt students could do the move. Some of them were even landing the second kick at the target area on the bag while spinning and not looking. Fast forward a year, and she can do that, too. It's a testament to the power of practice and training. After class, he tied the red belt around her waist. 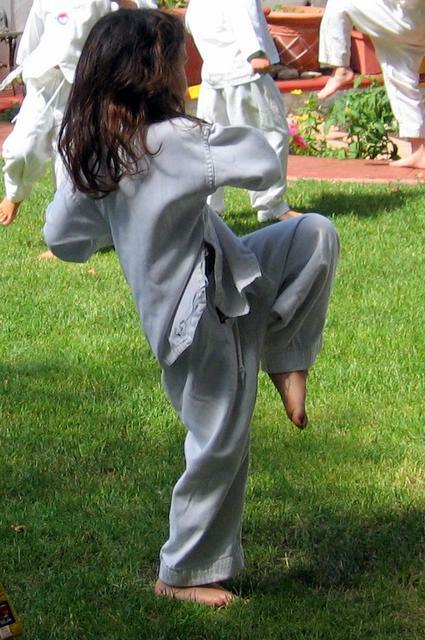 A fellow student is holding her blue belt with one black stripe. Anton uses the same belt color system as the dojo he belongs to in Korea. Her plan is to continue studying with him to earn a black stripe on the red belt (as two of her older classmates have already done) and then the black belt before college. Anton estimates that about 90% of his beginning students are boys, but the majority of his advanced students are girls. Where have we seen these lopsided statistics before? He says most boys simply lose interest when they discover how much work and how long it takes to earn a black belt with him. One HS-aged male student of Anton's earned a black belt this year, and he is one seriously focused kid (in many aspects of his life). It's a good peer group. This video, taken just before her 6th birthday party, always makes me smile. 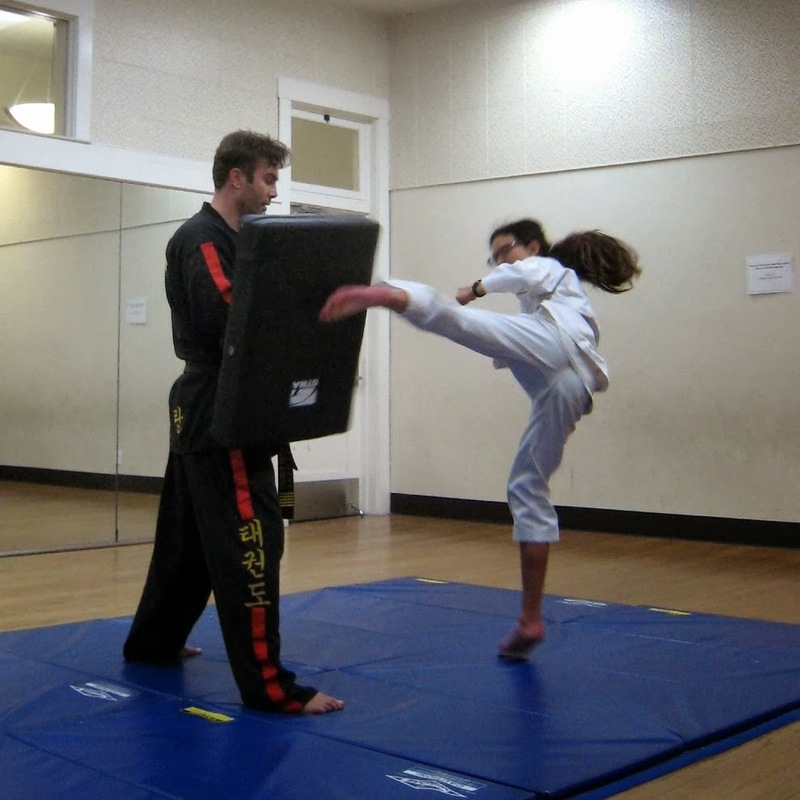 Like many martial arts instructors in Los Angeles, her teacher also works as an actor. Enjoy his demo reel. No one asked why I care so deeply about the possible sale of DIA's art collection, which I've never even seen in person. But I feel like it is important to explain what art is worth beyond price. In high school, I visited the San Francisco Museum of Modern Art (SFMOMA) with an art teacher. We didn't have enough time in the galleries for all the things I wanted to explore so I went back later on my own. Museum gallery admissions can get prohibitively expensive so I shelled out for a student annual membership so I could stop by any time I like without incurring additional expense. Pretty soon, the museum became a third place, a home away from home. 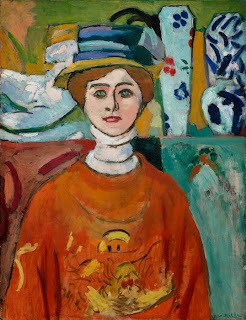 I was already aware of Henri Matisse and spent quite a bit of time standing and sitting in front of The Girl with the Green Eyes and comparing it to Woman in a Hat. In the days before "color correctors" were sold in drugstores, I had never thought about greenish undertones in skin before. Then I noticed it everywhere. 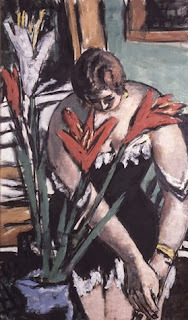 But the value of a permanent collection goes beyond big name artists. I would never have heard about Max Beckman if I hadn't seen Woman at her Toilette. 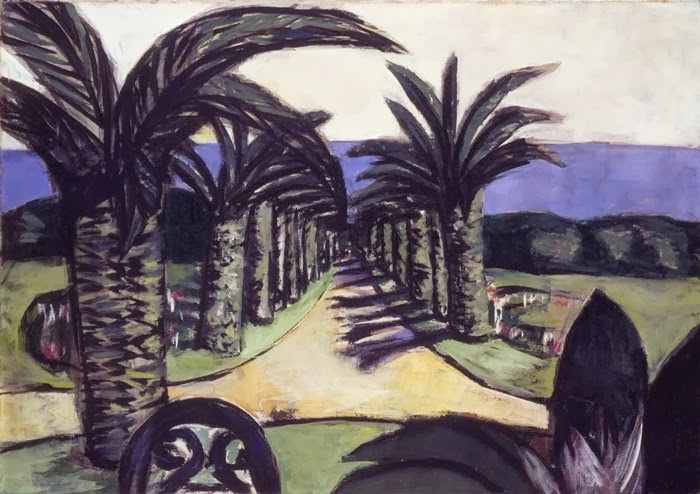 When I looked across the gallery, I saw Landscape, Cannes and recognized the arms in the palm tree trunks. Even though I don't live in San Francisco any longer, I enjoy revisiting the permanent collection. They are a part of my youth; they belong to me in a deeply personal way. While walking and looking in those galleries, I honed an ability to .see. I simply cannot stand by and let the children of Detroit be robbed of their patrimony. A lifelong relationship to art is not easily valued on a spreadsheet. But it has value and meaning. 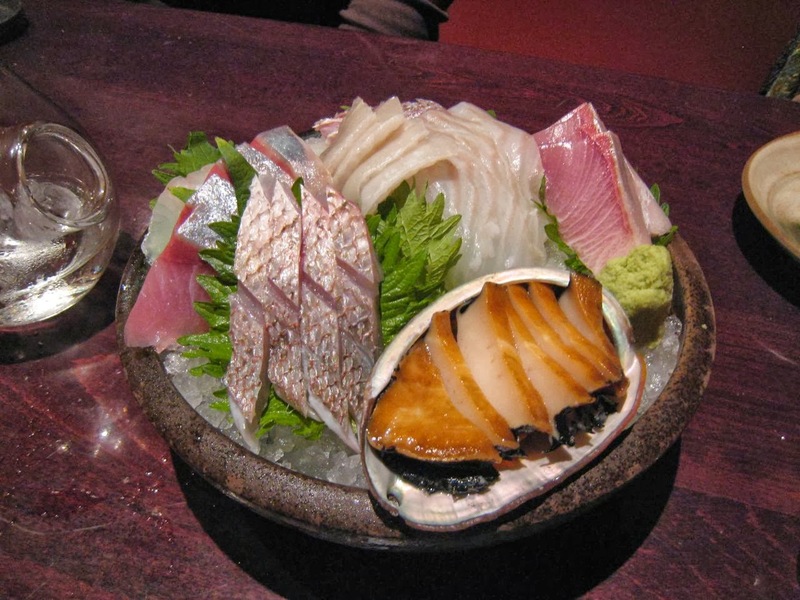 For my birthday, we gathered a small group of intrepid friends/diners to join us for omakase (price fixe chef's choice menu) at Yuzu, our favorite South Bay restaurant. We've eaten omakase there twice before, and I blogged about one experience. The omakase selections vary each time. We were on our 3rd or 4th course (depending on how you count) before I remembered to pull out the camera. Isn't this Bento delightful? 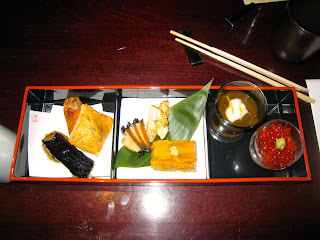 That is not tamago (egg omelet) on the bottom center. Can you guess what it really is? I'll give you a hint. I have never eaten anything like it before; Bad Dad usually eats it raw. 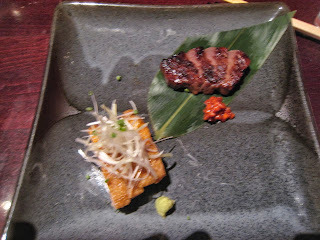 Roast duck (bottom left) paired with barbeque beef tongue (upper right). No meal at Yuzu is complete without sesame ice cream with black sesame sauce. 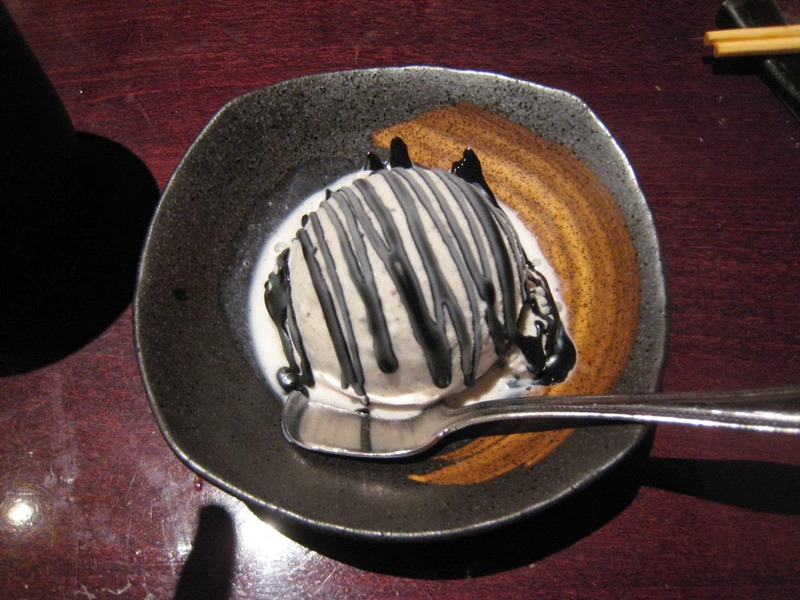 They often run out; you are more likely to get some if you ask for it when you make reservations. BTW, Buffy the Vampire Slayer fans may be interested to learn that Sunnydale High and Buffy's house are just blocks from Yuzu. Sewists may want to shop at Momen around the corner in Old Town Torrance. 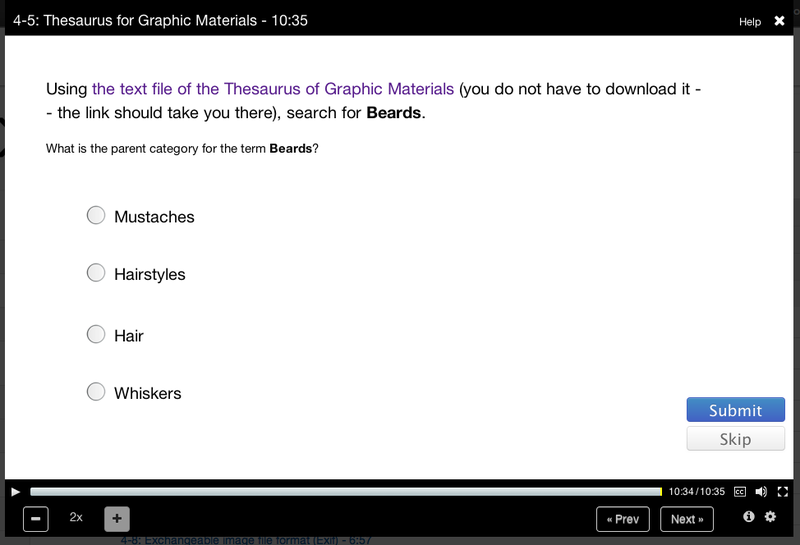 I used to wonder why the internet was so snarky (regretsy), until I took the CopyrightX class. I learned that copyright exceptions are made for parody (making it clearly legal), while other forms of quotation are legally more complex. Thus, if you want to appropriate someone else's work in order to expand upon it, you need to secure permission or go through some other legal hoops to gain a "fair-use" copyright exception. However, if you just want to mock someone, then go ahead. 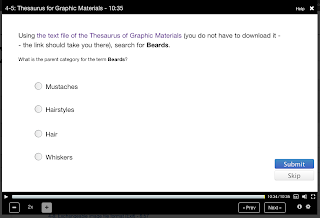 Copyright law gives you carte blanche! This supports Professor Terry Fisher's argument that the law makes culture. Does that imply that, if we reform the laws, we can reform our culture? I've seen how technology can also create culture. But, I was so struck by the observations of Zeynep Tufekci, a self-described scholar of social movements and of surveillance, that I was moved to post. I feel like I don't quite understand social media yet. At first, I thought there was something wrong with me because there are so many much younger people who purport to understand social media marketing themselves as consultants. Why am I so stupid? Why can't I grasp it? Then I read Tufekci's comment. She explains that it’s hard to do conceptual work in this space because events are changing every few months, making it very hard to extrapolate from years of experience. Then I realized, perhaps I've just been around--collecting data and observations--long enough to realize what I don't know. Moreover, I like to collect more data before I make up my mind. 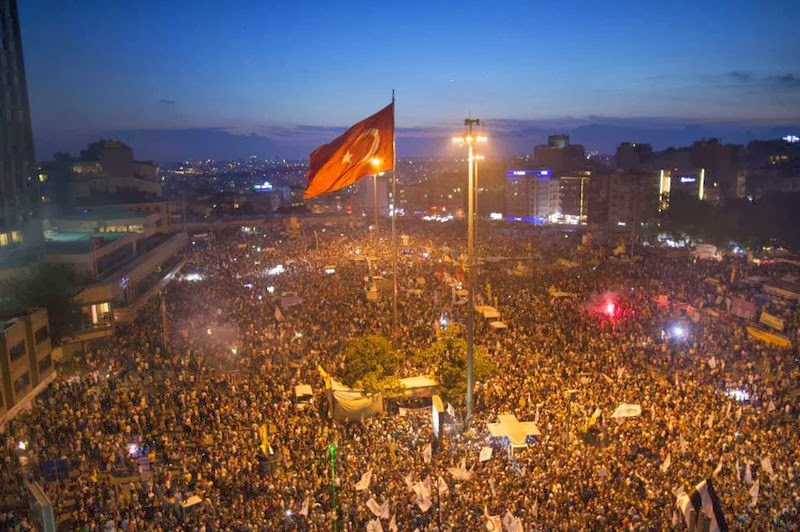 To understand these protests, Zeynep turns to Amartya Sen and capacity building, looking at those capacities, not traditional outputs, as the benefits of development. The internet gives us some new capacities, but that may undermine other capacities: we end up at base camp very easily, but we don’t know how to negotiate Hillary’s step. We can carry out the spectacular street protest, but we can’t build a larger movement to topple or challenge a government. This is an analogy for internet-enabled activism. In talking about internet and collective action, we tend to talk about ease of coordination and community. Zeynep worries that we’re getting to base camp without developing altitude awareness – in other words, some of the internet’s benefits have significant handicaps as side effects. The result: we see more movements, but they may not have impact or staying power because they come to public attention much earlier in their lives. Social media, as it is currently built, is geared towards quick communication and gathering followers. But it's not a platform for holding deep and nuanced debates to come to a consensus on difficult subjects with people who don't generally agree with us. That platform hasn't been built yet. Is technology holding us back? Or are our collective lack of imagination holding back technology? Is governance even possible when people can't agree on axioms? Or when many (most?) people cannot follow logic and decide rationally? 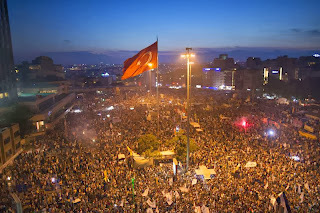 * Photo of Taksim Gezi Park protest courtesy of Wikimedia Commons. I came down with the creeping crud. Now my kid is home sick, too. However, the big news is that Bad Dad is unfurloughed, along with millions of others. 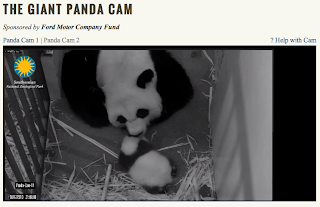 That means the National Zoo's Panda Cam is back! Serendipitously, Knit your own zoo was released this month. 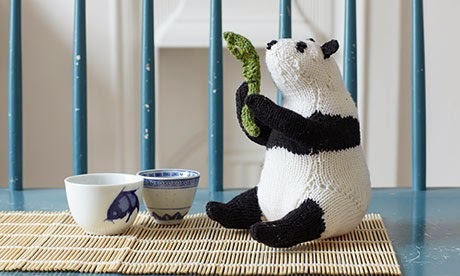 This Guardian article includes the pattern to make your own panda. 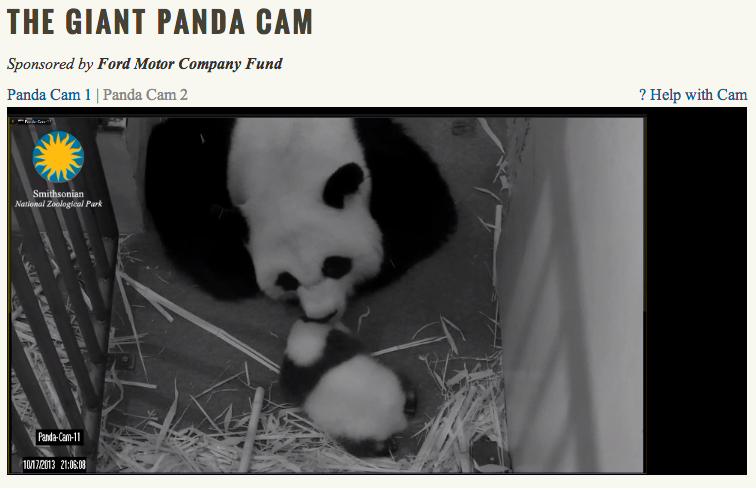 Screenshot of the Panda Cam. Knitted Panda photo from Holly Jolliffe via The Guardian. I mentioned in the comments to Geologic Dance that something completely different explains the change in magnetic alignment in the Hawaiian Islands. 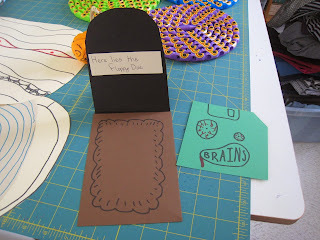 In fourth grade, the California public school curriculum includes circuits and magnetic fields. 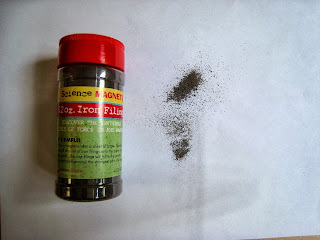 I don't know how much most kids understand, but I played around with iron fillings and magnets with my kid to assess her understanding and help her make connections to the natural world. You'll need a jar of iron fillings, which we purchased at the gift shop of a science museum. For easy cleanup, I laid a piece of paper down on the box lid before sprinkling some iron fillings on top. We also used common household objects such as yoga bricks, a ceramic magnet from the hardware store and a box lid. We've successfully used both paper and plastic box lids. 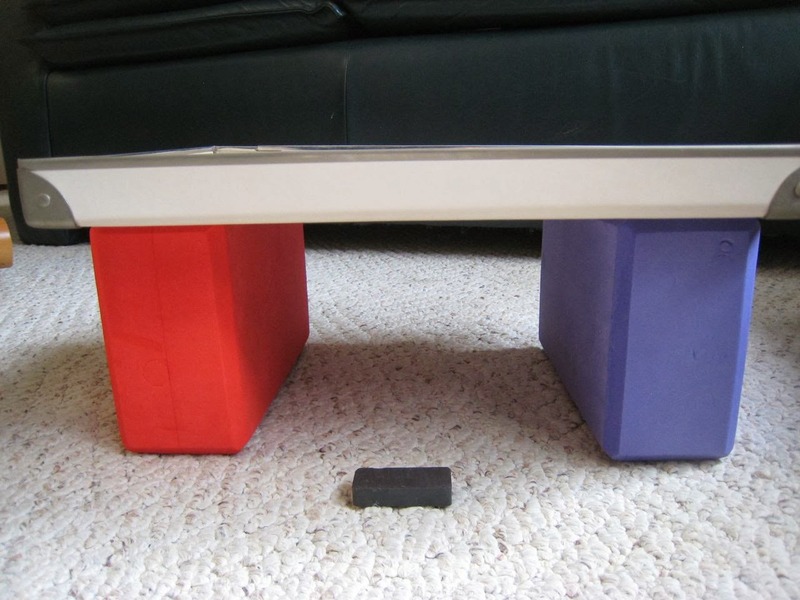 Place the magnet underneath the lid and slowly rotate it. At first, I dumped out too many fillings. Then I put most of them back into the jar and tried again. This is what happens to the iron in molten rocks when they first reach the surface of the earth. As they cool and harden, their alignment provide a record of the orientation of the earth's magnetic field at the time they froze into position. In Geologic Dance, the difference in magnetic alignment between earth layers of the same age, but at different locations, tells the story of how the different locations have moved since they froze. I related it to the Channel Islands and the nearby San Gabriel Mountains, which are ~1,200 million years old. They rotate on a timescale of tens and hundreds of millions of years. In contrast, the Hawaiian Islands are much younger, ~0.1 to 10.0 million years old. Even if they didn't sit in the middle of the Pacific plate, they haven't had time to rotate yet. So what causes the shift in magnetic alignment in lava flows of different ages? The earth's magnetic field varies in time* and even reverses directions in a process called magnetic reversal. The times between reversals are highly variable, but they tend to occur a few times each million years. The magnetic alignment of lava flows in Hawaii tell the story of how the earth's magnetic field has shifted in recent (geologic) history! You can read more about it in Lava flows reveal clues to magnetic field reversals. * It's not just the magma motion in the core (and mantle) of the earth. Space weather from the sun causes daily fluctuations in the .total. magnetic field felt here on earth. This is more likely to affect measurements on satellites than on the surface of the earth. But, it is a measurable effect that you have to take into account for certain uses. If you have kids of a certain age, you may remember watching Cinderelmo with them ad nauseum. Actually, it was a rather silly and sweet video with a really, really catchy song, Everybody's Doing This Dance. I could watch my toddler shake and spin for hours. One day, when we were walking home from daycare, she spontaneously started to sing and dance to this tune. A couple approached their home in a car during this performance in front of their house. I worried that she was impeding their progress. They stopped, watched the performance with a big smile, and then continued into their driveway after Iris finished the song and resumed walking. About that time, I met a geophysicist who mentioned that some of the channel islands are spinning. I immediately imagined them stepping to the right, stepping to the left, spinning one way, then the other--just like Cinderelmo. We have studied the paleomagnetism of various Neogene age rocks in southern California as a means of determining the amounts of Oligocene and younger tectonic rotation and translation which has occurred in this region. Our results suggest that fully 25% of this area, in particular the Transverse Ranges, has undergone extreme clockwise rotation. 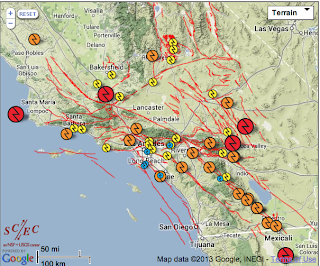 Work in southeastern California implies that 40° of clockwise rotation has occurred here, although paleomagnetic declinations adjacent to a major right lateral fault are apparently rotated over 200°. The crustal block bounded by the San Gabriel and San Andreas fault has undergone a net clockwise rotation of 35° although the data here can be interpreted to show that an original early Miocene rotation of about 50° was followed by a late Miocene or Pliocene counterclockwise rotation of 15°. Paleomagnetic results from the offshore islands suggests that San Clemente, Santa Barbara, and San Nicolas islands have not rotated but Santa Catalina has undergone about 90° of clockwise rotation. All of the northern Channel Islands, including Anacapa, Santa Cruz, Santa Rosa, and San Miguel, are implied to have rotated 70° or 80° clockwise. This result is also found for the Santa Monica Mountains east of Anacapa Island. In the Santa Ynez Range north of the Channel Islands, paleomagnetic study of the Monterey Formation also indicates large clockwise rotations of near 90°. These data also suggest that the Santa Maria Basin is not rotated and that the north boundary of the rotated region is the Santa Ynez River fault. Stratigraphic control on the paleomagnetic data from the Monterey Formation implies that the rotation began about 16 m.y. ago and may be continuing today in the western region. Paleomagnetic inclination data from our study show that the northern Channel Islands, in particular, may have translated 15° northward since middle Miocene time. However, equally valid interpretations of these same data are that the low inclinations are due to the combined effects of erroneous structural corrections, non dipole magnetic field behavior and right offset on the San Andreas fault system. Palinspastic reconstruction of southern California regions for the early Miocene implies that parts of the Transverse Ranges structures were once aligned with north trending extensional structures in the southwestern United States. We propose that Pacific-American plate interactions both rifted the continental crust to create this pattern and rotated the western-most structures within a dextral simple shear zone which had a half width of about 400 km. In plain English, it means that they looked at the magnetic alignment of rock layers around the southern California region and learned that sections are rotating. Recall that the earth is a giant magnet, with a slowly varying magnetic field. The iron in rocks aligns with the magnetic field when it is first pushed up to the surface and still a hot liquid. When it cools, the alignment is fixed. So, you can read off the magnetic alignment of the earth's crust and obtain a record of past earth magnetic field orientation. It's like a tape recorder. The deeper you go, the farther back in time you peer. Of course, this works if the ground stays put. In rift zones--say at the boundary between the North American and Pacific plates--the ground moves and the picture gets more complicated. If you can identify the same geologic layers in different locations, and they are magnetically oriented differently, you can infer past ground movement. Different layers may have different rotational (magnetic alignment) offsets. In fact, our local mountain ranges have rotated clockwise 50° and then counter-clockwise 15° for a net rotation of 35°. The crustal block bounded by the San Gabriel and San Andreas fault has undergone a net clockwise rotation of 35° although the data here can be interpreted to show that an original early Miocene rotation of about 50° was followed by a late Miocene or Pliocene counterclockwise rotation of 15°. Notice the fault line that runs through the northern Channel Islands of Anacapa, Santa Crus, Santa Rosa and San Miguel (due south of the city of Santa Barbara)? 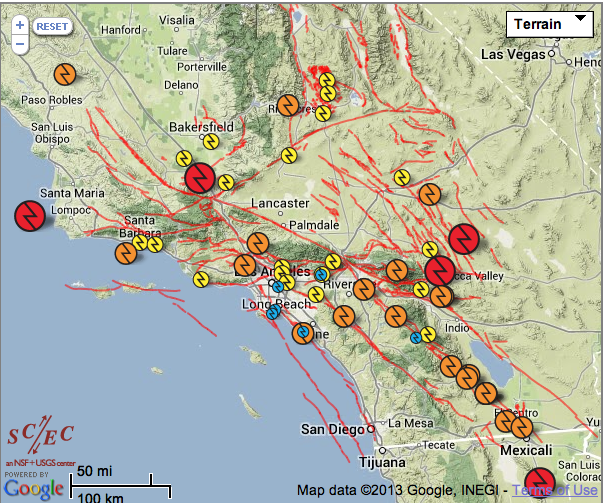 There is a corresponding fault line to their north running right through Santa Barbara. The North American and Pacific plates are kind of locked here (and in other E-W or transverse ranges of Coastal California). If you slide two fluids across one another, little eddies will form. (Or rub your hand across a table cloth and see little folds come up.) This is the geologic equivalent. Slide two plates in opposite directions with a bit of loose crust between them. The crusty bits will rotate like geologic ball bearings! The fault map explains why some of the Channel Islands rotate, and others do not. Of course, they are all sliding roughly NE along with the Pacific plate. The islands are like slowly moving ships and some of them are wagging their tails as they go by. You would have to watch from the beach for a very, very long time to discern the movement. Use your geologic imagination cap. BTW, today, our nation is being tested. Remember that, in some parts of our country, teachers cannot teach geology that contradicts the biblical notion that the earth is ~4000 years old. Remember also the students and teachers massacred by Boko Haram. (The group's name translates as "Western education is forbidden".) Those bullies have targeted schools repeatedly and the Nigerian government has been unable, or unwilling, to stop them. The only thing their government has done is to shut down the schools, allowing Boko Haram to get what they wanted. How do we stop global bullying? Sorry, I didn't have a chance to write about Cinderelmo today. Instead, I went to the gym, tried to catch up on MOOCs after a week away, took a tour of a local power plant and attended a public comment session regarding the power plant. because the link gives this message. Library of Congress is closed, both in bricks and mortar and on the internet.